I love doing marking plans in public so everyone can see the concepts behind all the thinking I do! This plan is for the Etsy app, Whatify which compares the first two pictures of an Etsy listing and then says which generates more views for their listings… cool huh? I have been talking with Jake (the owner) for a while now (they have an ad on my website since I have a large Etsy following) and he reached out yesterday asking if I had any marketing ideas for him. He said he had been doing influencer marketing and that was going okay, but he needed some fresh marketing ideas. So I thought a wee bit about it and this is what he should do! Please don’t pigeon hole this post as only for app developers! If you are an Etsy seller or looking to reach Etsy sellers, many of the concepts here should get your wheels turning for your biz too! You would think that we should start with the features and benefits of Whatify but you would be WRONG! Think about it, the Etsy sellers that Jake wants to reach have no idea that they need his product… heck they probably don’t know it exists so at this point he just needs to get their attention. What Do Jake’s Customers Want? Okay, logical thinking says that Jake should make the connection between Whatify and his account SUPER clear. He should have pictures of behind the scenes (people typing on keyboards) and then push ad after ad for his product… right? This is a company for goodness sakes, it should be serious and dull! WRONG!!! But what about if Jake made an account that could help his Etsy peeps. 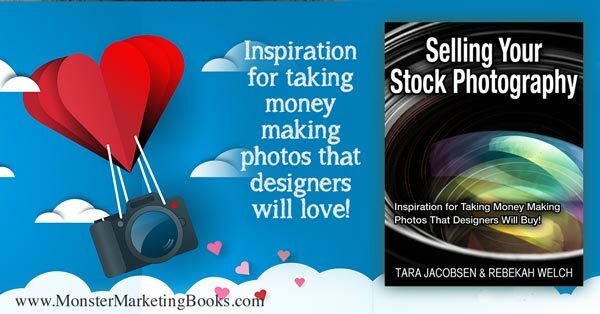 One that would feature their great pics AND show how his product works AND be super easy to run because Etsy sellers would send him their pictures. That could be cool right? So this account is going to be all about Etsy pictures, which ones lead to sales and getting connections to Etsy sellers who don’t already use Whatify so he can sell his subscription service. Okay, the next step for Jake is to choose a name for his Instagram account. 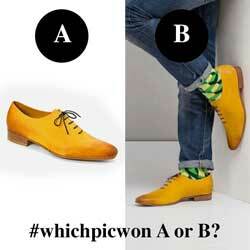 I sent him over a few suggestions… WhichPicWon, WhichPicWin, WhichDidTheyPic or WhichDidTheyPick. In a perfect marketing world I suggest he use something with Etsy in the account name (that would for sure help his follow rate). BUT we can’t forget that Jake is an actual company, not just making a shop account or influencer account. 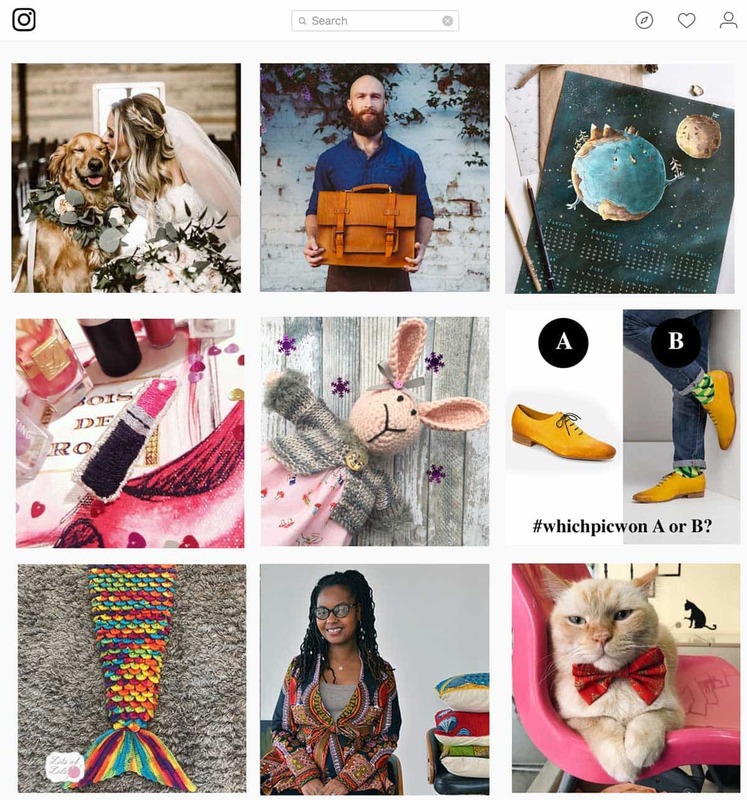 Etsy, of course, has the trademark of that name and the last thing we want to do is set up a huge Instagram account only to get a cease and desist because we used “Etsy” in the account name. 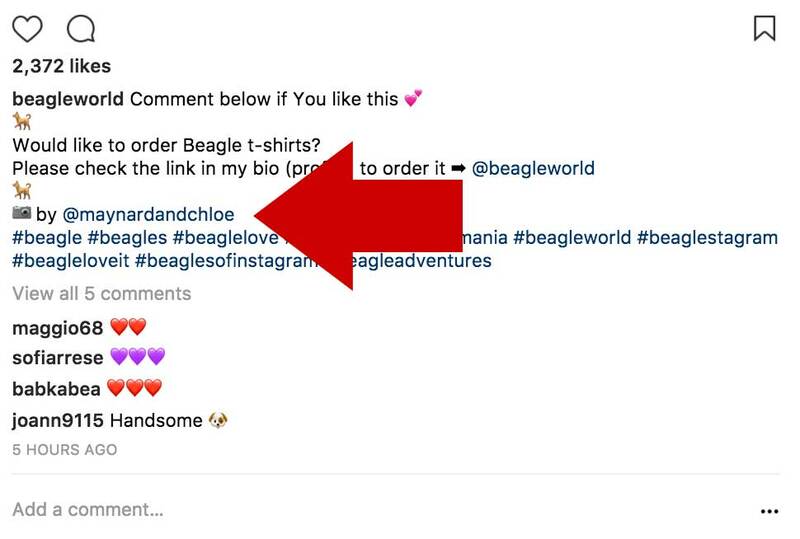 Okay, there are TWO places to have names in Instagram! First is the user name which we should not have Etsy in, but there is a second name where Jake could reference Etsy for sure! And the one link he gets should be directed right back to his app website. Emojies are vital. First off they act as “words” in your description and also break up a bunch of text and catch the eye. These show right off the bat that this account is about picture and shopping. A custom hashtag. I picked #whichpicwon for Jake. No one is using it and having that in his posts as his own hashtag will “hook” them together. 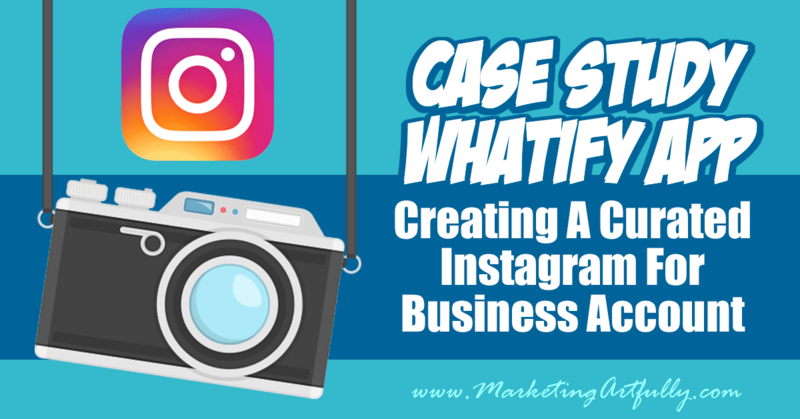 Because this is a corporate account I think it is important to be up front and honest and link it back to the “official” Whatify account on Instagram. Last but not least, is the magical place.. the “send me your pictures”. Once Jake gets this account up and running he will be able to have Etsy sellers send him super pretty product pictures that he can feature and link to their profiles, helping Etsy sellers grow their Instagram too! So what should Jake post on his account? Does he have to come up with a BUNCH of original content and spend all his time making pictures himself? NOPE! There is already a bunch of great pictures that he could use from Etsy sellers on Instagram. AND he will start getting pictures emailed to him (more below) AND he can make some of his own promoting his biz. So does Jake HAVE to post 100 times a day? Nope! I would say that at most he should post two great pictures a day. More than that and he might start annoying his followers. Also that makes it even more important to have something super special to post and not have just a bunch of junk in his feed! Okay, now we can do a wee bit of marketing! These “special posts” highlight the one thing that Whatify does best… test and see which product photos will get more views on Etsy. No cheating…guess before you look! This is NOT a place to ask for pictures to share, this is a pure sales post! 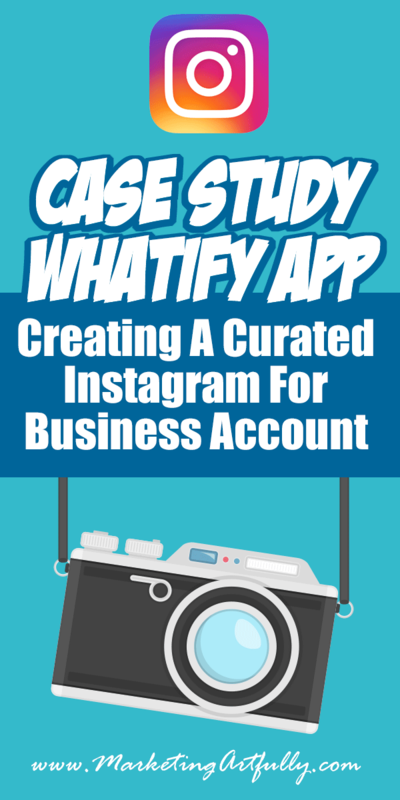 THIS is the beauty of the whole plan about creating a curated Instagram for business account. Using this one little tactic (after having done a crap ton of work first) will have Etsy sellers contacting Jake and asking him to help them! I don’t have a feature account like this, but I do know an account that does this AMAZINGLY well because I follow them and love all the pictures they post! ANTIQUE_R_US on Instagram is a combo account that posts great pictures of vintage items. 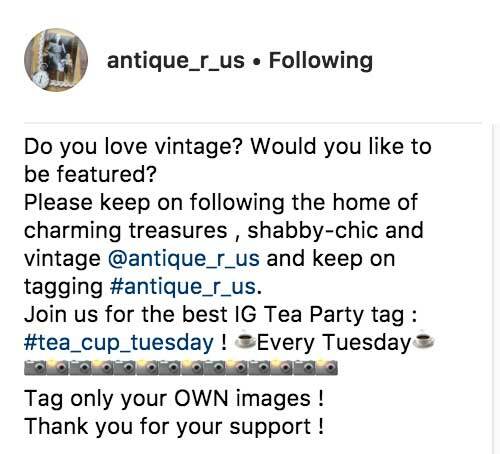 They are using the #antique_r_us to help find people who want to be featured on their Instagram feed. Functionally they don’t even have to look for things to post! That said, Jake wants to make relationships with Etsy sellers so I would definitely have the people email their pics in. This opens the door so Jake can ask if they would like to get on his mailing list, sign up for a free trial or even be a featured seller on his blog! It is NOT an invitation to spam people who send their pics, but for Jake it could be a really great way to get Etsy sellers to contact him! Branding Course – another course I would recommend for this is Jasmine Star’s Branding Strategies To Grow Your Business. This will help you figure out who your customers are and what they are looking for online! Should You Use White Background or Lifestyle Product Photography?